To create content that your audience will not only enjoy but learn from you need to understand who they are. That means you must study your target audience. 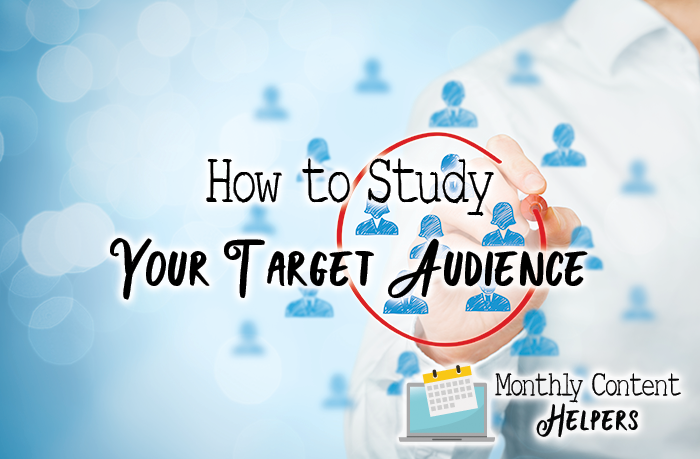 Not only do you need to study your target audience you need to do it often. Remember your audience may stay the same but their ideas, values, and needs may change over time. Let’s look at the company Dove as an example. They’ve been around since 1957. Since that time a lot has changed about their demographic. They still market to women but their brand has evolved over the years to better represent their modern audience. You need to do the same. Keep learning about your audience, always. Don’t ever stop. Even if you’re part of the audience you want to market to, that doesn’t mean that you know everything there is to know about the audience. You have insight into exactly one person in your niche. You. Your experiences are very subjective so you may speak for less than 10 percent of your audience. Therefore, you need to understand that making assumptions about your audience without testing your theories will not work. If you don’t have customers yet, you can use the research you’ve gathered to create a potential customer avatar that will help you with your research. If you have actual customers study them to help you create your avatar unless you’ve inadvertently attracted the wrong customer. The ideal customer should be represented by your avatar. Join Facebook Groups, LinkedIn Groups, and other groups online on social media where your audience hangs out. Get to know who they are by observing them. What questions do they ask? What problems are they experiencing? Do not Spam them on the groups. Learn about them so that when you do make an offer it’s just the right thing. There are events all over the world that your audience goes to. Figure out which events they go to and go to them as a guest. Go to them as a speaker. Go to them as an expert. Go to them as yourself so that you can be around your audience. The more you talk to them and learn from them the better your offerings will be. When you locate your audience set up a survey on your website so that when you get them you can ask them questions. If you have your own Facebook group you can survey them inside the group too. Ask them what they want and need. Then give them the opportunity to have it. One of the best places to get information about your audience is via your competition. Join your competitors’ groups, join their email lists, download their freebies, buy one of their products. Don’t copy them. But learn from them what is working and what is not working. What keywords are they using? Why? What type of content are they publishing? How and why? As you create content and bring traffic to your website using Google Analytics and the analytics in your email marketing software to study your audience closer. You may be surprised at who you’re attracting to your website and who is answering your CTAs. 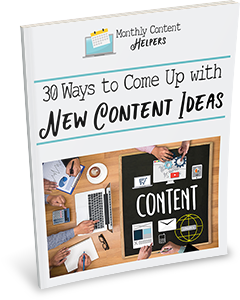 Set up a research schedule so that you’re always keeping your eyes and ears open for any major changes with your audience and within your industry. Killer apps come along every single day that changes the face of at least one industry. Knowing your audience will help you stay ahead of the curve. How do you research your audience?